With unbelievable views to both sides, the villa is the prettiest backdrop imaginable for your biggest day. You can sleep 11 people in great comfort in the Villa, having your nearest and dearest with you. However, as it sits within, but above a resort, other guests can stay right on the doorstep. Perfect sunshine villa is also a wonderful honeymoon destination. We can shut off the three downstairs bedrooms and the two of you have full use of the upstairs with the tremendous bridal suite all reception rooms and even a spare room. 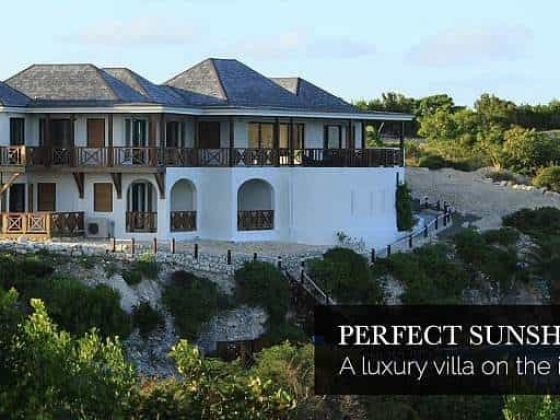 The Villa allows you to indulge yourself in luxury, from the massive four-poster bed in the master bedroom and the 50 foot infinity pool, to the sculptures in the rooms and the 20 foot height of the airy reception areas. The villa has all you could dream of for a perfect getaway: gorgeous bedrooms, vast living space, spacious terraces and the very large infinity pool. It provides all modern amenities, allowing you to choose whether to unwind away from the world, or to remain very much in touch. In terms of rooms we have: a huge reception area, a luxury Italian designer kitchen and five gorgeous bedrooms . Each has sea views and some have double or triple aspect views! Beds are large and comfortable; sheets are soft and silky each has air-con but as we are on a hill with the breeze rarely needed. The views at the villa are truly breathtaking – and we don't use that word lightly. On one terrace you can see the sunrise, and on the other terrace where the view is entirely different, you can sit away at a rum punch and view the sunset – bliss! 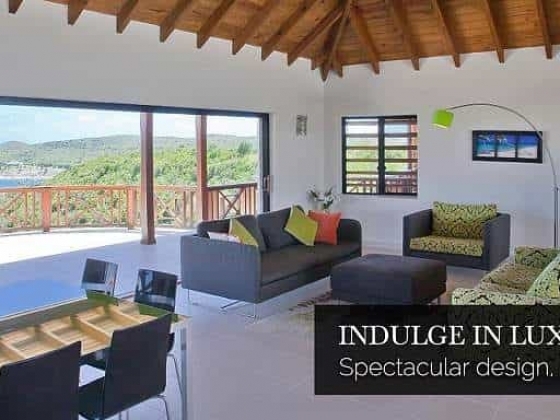 The villa is part of a resort and you can participate as much or as little in resort life as you please, as the villa sits above the other properties and is therefore very self-contained. The resort has an excellent restaurant and a superb sailing school. If you already know how to sail or kite surf they rent out equipment, but if you want to be taught, their teaching is meticulous and patient! The beach is a five-minute walk down from the Villa, but as we are on a hill, unless you are exceptionally fit, it probably takes eight minutes to walk back up! Nearby, is the fabulous Italian restaurant and art gallery, Harmony Hall and the famous green island is a short boat ride away. This really is true Caribbean paradise! Music HQ are a five star wedding music service. We are an award winning agency who create, manage and mentor all of our exclusive acts. BMine Events is not another wedding planning service, it was born from the idea to connect people around the world to create happiness. If you’ve dreamed of a memorable tailor-maid wedding experience, then Celebrate in Sardinia is just what you need! Your wedding should be a unique experience that encapsulates your individual personalities and capture that essence of you as a couple.